When Pokemon Gold and Silver released, they introduced baby Pokemon into the mix. These were 8 different Pokemon where all except Togepi were underevolved versions of Pokemon found in the original Red, Blue, and Green games. The others were Pichu, Cleffa, Igglybuff, Elekid, Magby, Smoochum, and Tyrogue. 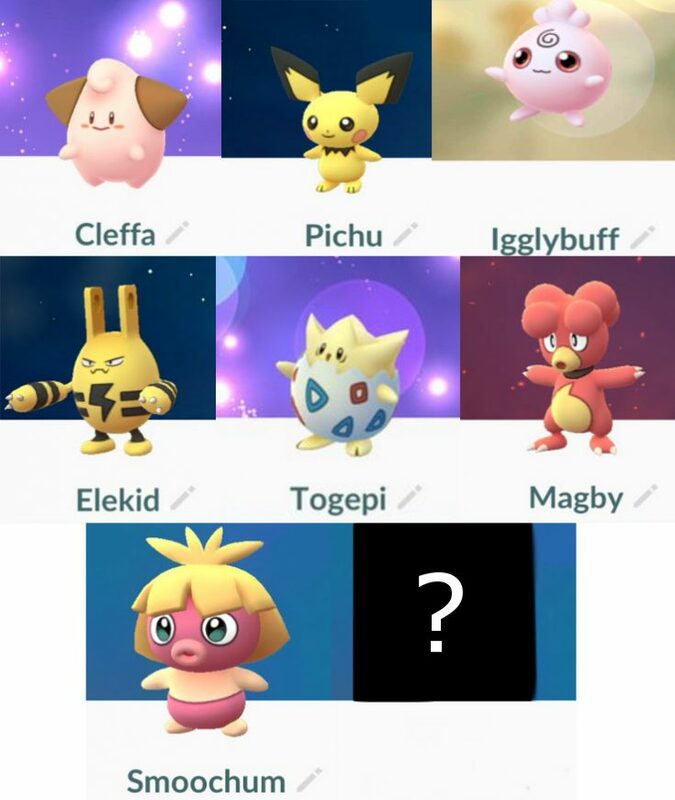 Now, Pokemon GO includes each of those baby Pokemon, except Tyrogue. The odd man out here, Tyrogue, is likely left out for being a special case. While the others are mostly babies to a single Pokemon, Tyrogue has multiple paths. So the issue in this case is how to handle candy for the little guy. We all know that we collect candy based on the most base form of a Pokemon. That’s why that even though Eevee has many different evolutionary paths, we always get Eevee candy from them. Those also just need Eevee candy to power up. That’s how we keep our Vaporeons nice and relevant. The same doesn’t really work on the flip side. Tyrogue can evolve into Hitmonlee, Hitmonchan, and Hitmontop. Unfortunately, Pokemon GO already has Hitmonlee and Hitmonchan, as those were Generation 1 Pokemon. That also means they each have their own candy. The easiest way to fix this problem would be for Niantic Labs to merge those both into Tyrogue candy. Until that happens, Tyrogue is likely to remain absent.